Create and maintain a clean environment of your very own. As a busy NYC working mom, Ashley Tyrner didn’t always have time to make a weekly trip to her local farmers market to pick up the freshest local and organic items for her kitchen. She wanted to create a service that would allow even the busiest of people to enjoy the benefits of local and organic food. Ashley started Farmbox Direct with a vision of how food SHOULD be: fresh, local (when Mother Nature permits), and free from pesticides! Having grown up in a family of farmers and living on a farm, she spent summers working at her uncle’s compost in the Midwest, learning how to live off the land, and the benefits of local and organic food. After she became a mom she really began to pay very close attention to exactly what was in the food that not only she was eating, but also what she was feeding her daughter. She stepped down from the corporate world, and went back to her roots—creating a company that delivers healthy, organic, local & affordable food right to the door of people on the East Coast—from New Hampshire to Washington, D.C. Towards the goal of delivering fresh, local and organic food to its customers, Farmbox Direct only works with farms that use zero pesticides on the produce they grow, their artisanal items come directly from the artisan, and all eggs are cage free and free range. Ashley personally hand picks every farm, artisan and vendor they deal with—if it’s not USDA Certified Organic, they do not carry it. 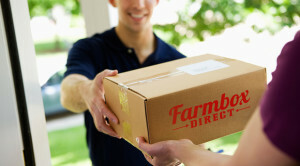 In addition, every Farmbox delivery box is eco-friendly with biodegradable insulation. They encourage customers to recycle all boxes and packing material. When busy, single mom Ashley Tyrner couldn’t find the time to make a weekly trip to her local farmers market, she decided to create a service that would deliver the fresh, local products she wanted to doorsteps of busy parents like herself. Think of your own lifestyle—what product or service do you wish was created to make your life easier—or healthier? If you are having difficulty finding the one thing that may be missing from your world, chances are others are missing it too. It takes more than passion to create a successful business. Ashley spent time working in the fashion industry where she honed her business chops—turning Ceasar Galindo into a successful fashion brand. Take advantage of every opportunity you have to learn the art of business—from accounting to marketing to finding funding. Everything you learn outside of your passion area can go a long way towards making that passion a successful business. Talk to us: Do you have an earth-friendly, socially conscious business you would like us to profile? Send us a note via Twitter or Facebook! Fuel type—ask each company what type of fuel they use. Many organizations have converted trucks to biodiesel fuel, an upgrade that helps reduce your move’s carbon footprint. Car shipping—if you’re moving an automobile, price out both truck and rail shipping options. Train transport can represent huge savings to you and lighten the moving truck’s load on the road. Clean out before you move—whatever you can do to reduce the number of goods you plan to move will make a big impact on related emissions. 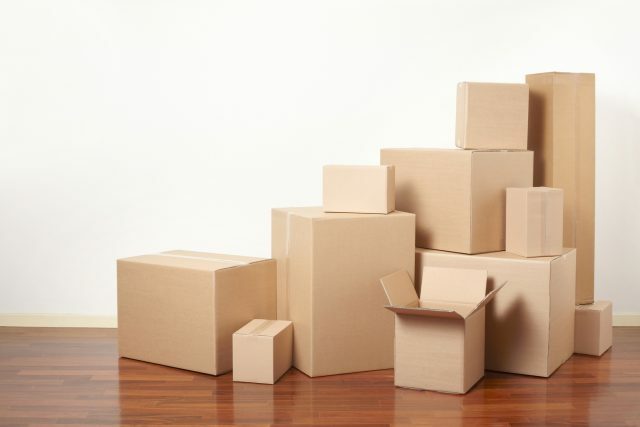 Don’t pack mindlessly and hurriedly, instead, think about items you can donate before making your move. Get things clean. Make sure you leave your old space clean and healthy for the next inhabitants. Use eco-friendly cleaning products for floors, countertops, and windows or hire an eco-friendly cleaning company—like us!—to come in and take care of dirt, dust, and debris. Grab this great online checklist from our friends at MakeSpace for all your pre- and post-cleaning tasks. Talk to us: Have you made an environmentally conscious move in recent months? Share what you learned and your best tips for other readers below. Is your stove or range petering out or nearing the end of its life expectancy? 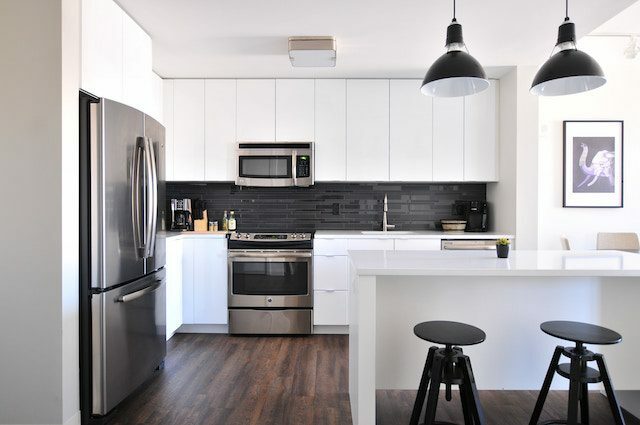 Experts say the best time to make large appliance purchases is in September when manufacturers are rolling out their latest models and looking to make space by offering good deals on last year’s versions. Follow our shopping tips to ensure you’re getting the most affordable, energy-efficient model in your price range. Look for the Energy Star® label. The Energy Star folks have done their homework to identify the most efficient models in every appliance category. This is a great place to start when you’re beginning your search to make sure you’re saving money and protecting the environment. Buy for your space. Make sure to take precise measurements for the space your kitchen allows for a stove or range before you shop. Appliances function at maximum efficiency when located in a spot that allows for proper ventilation. Use the EnergyGuide. All new appliances are required to have an EnergyGuide label affixed to the packaging or appliance so consumers can compare as they shop. Read each one carefully and take pictures of the labels with your mobile device, for a quick comparison. Having an image with key features, estimated yearly operating cost and estimated yearly electricity use at your fingertips will help with decision-making after you’ve shopped around. Choose gas. When it comes to stoves and ranges, manufacturers often offer both gas and electric models. On average, it takes about three times as much energy to produce and deliver electricity to an electric stove, compared to a gas one. The California Energy Commission says that over time, a gas stove will cost about half as much to operate as an electric one. Gas stoves boast more ease of use as well; giving cooks more control of temperatures and cooking time. Plan for long-term use. It’s no secret that consumers pay upfront for energy efficiency, only to reap the many benefits for themselves and the planet down the line. If you can, reach deeper into your pockets for this appliance purchase and others with the end goal in mind. Check the flu for nests, animals or leaves. Check the chimney. Use a flashlight and mirror to look up to the open damper. If you see blockages of any kind you’ll have to call a professional chimney sweep. Repair cracks in the chimney, firebox or hearth--making sure you use the proper materials. Click here for tips and DIY advice. Gather your materials: a vacuum, bucket, gloves, two cloths, mild dish soap, stiff-bristled brush, table salt, and water. Vacuum the soot from inside the chimney. Mix one ounce of soap with one ounce of table salt in just enough water in a bucket to make the mixture creamy. Thoroughly rub it into the brick with a cloth (wearing gloves if you so choose). Allow it to dry for at least ten minutes. Then use the stiff-bristled brush to remove the residue and scum from the bricks. Repeat if necessary until your fireplace is “shiny” and clean! Take another wet cloth and wipe away any leftover soap scum or residue. Now, stock up on wood before it gets too cold. Buy a full face cord or a half face cord of firewood to last you a full winter (or two). Remember to purchase only local wood to prevent spreading invasive species. Choose hardwood like walnut and maple for a clean, longer and hotter burn. Then sit back and enjoy your warm fires in your clean, safe fireplace! 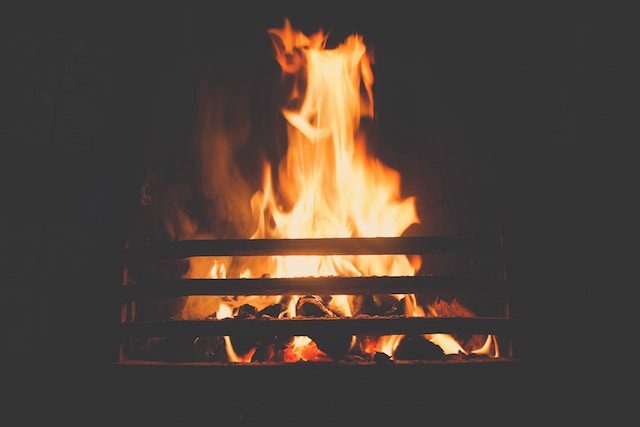 Talk to us: What month do you usually light the first fire? If the tag says DRY CLEAN ONLY, obey it. 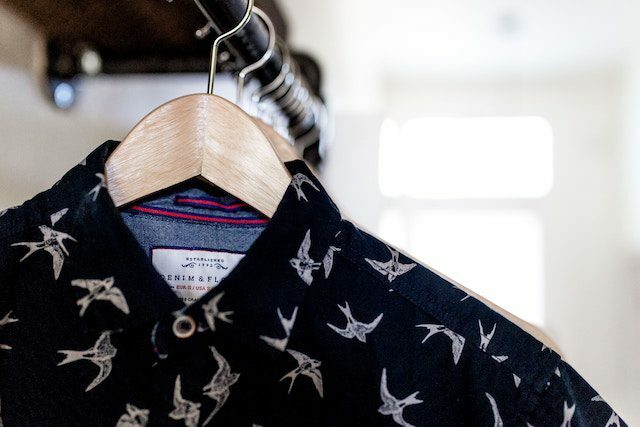 If it says DRY CLEAN, that means that it is recommended but is not the only method for getting the garment clean. Unless the label suggests otherwise, silk, acetate, velvet, wool, and taffeta items should go to the dry cleaner. Cotton, linen, cashmere, polyester, acrylic, and nylon can usually be washed at home. Be sure to check colorfastness first by putting some mild detergent on a cotton swab and dabbing it on a hidden seam to see if any dye comes off. Sign up for discounts, coupons, and updates! GreenHouse Eco-Cleaning is proud to clean homes and businesses in the New York City area, serving Manhattan, Brooklyn and Long Island City (LIC). ® Copyright 2016 - GreenHouse Eco-Cleaning LLC. New York. All rights reserved.